Well, here we are in late December and temperatures are in the 50s here in the Worcester area. Commercial roofing customers can take this balmy opportunity to think about flat roof options for their Central Massachusetts business. Accordingly, Dudley-based LJ Construction would like to talk for a minute about thermoplastic polyolefin (TPO) roofing. TPO roofing is one of the fastest growing commercial roofing products in recent years. Manufactured of rubber, ethylene and propylene chemically bound with fillers such as fiberglass and talc, TPO roofing offers numerous benefits to commercial roofing sites in Douglas, Sutton or Webster. Rolled out in sheets with strong, heat-welded seams, TPO offers excellent durability and ease of installation. In its lighter colors, TPO’s superior solar reflectivity characteristics can significantly reduce summer cooling costs for your Oxford business. In fact, many TPO manufacturers offer federally-certified Energy Star options to guarantee the highest levels of energy saving performance. One of the newer commercial flat roof options, TPO production and composition has undergone many revisions and improvements over the past 20 years. While there have been stories of durability issues with older TPO products or those from less reputable manufacturers, the newest materials from industry leaders like GAF benefit from this knowledge and offer superior technologies. LJ Construction has over a decade of experience installing these commercial flat roof systems. We proudly use quality GAF products in our TPO roofing installations and stand by our work and materials. 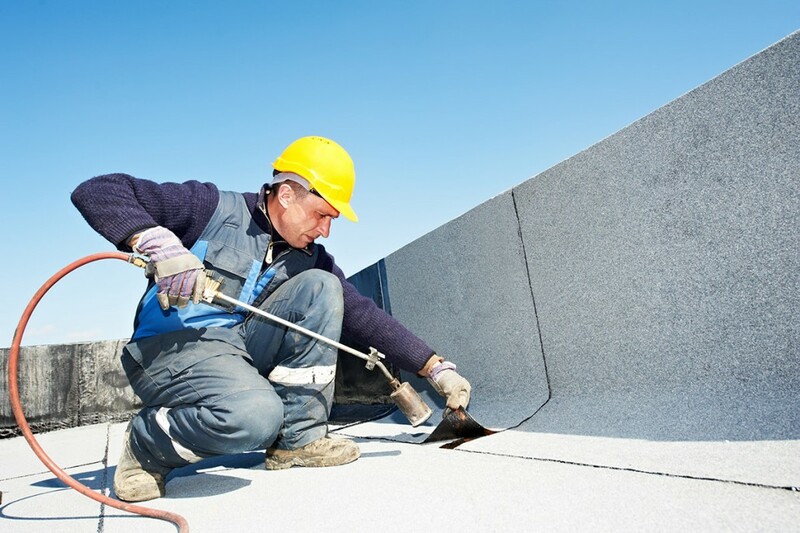 For more information about TPO roofing or for a free estimate on your commercial roof project, contact LJ Construction today for a site visit or any other questions.